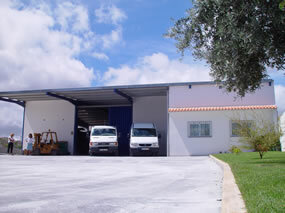 The entrepreneur ANTÓNIO PEREIRA GAMEIRO started his commercial activity in the year of 1987. Started trading assorted materials for civil construction. The range of products sold had always been adjusted to market requirements. However, he specialized distributing wrought iron and equipment’s for civil engineering and metalwork. After 28 years of experience in the business, where evolution and growth have always been a constant; our technical and human skills encouraged us to continue our way. As a result, in the 1st of September of 2014, we changed to APGFERRO - Comércio, Lda. We are proud to offer our clients innovative solutions and a constant adjust to market requirements. We have a wide range of products, with thousands of items in stock, in order to ensure maximum speed in delivery. We like to value the relationships that we maintain with our clients and our purpose goes through your satisfaction. With honesty, competitiveness and speed!